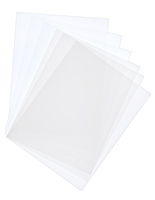 8.5" x 11" Frame Standard Size for Easy Custom Prints. 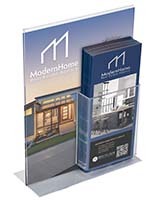 Pocket Holds Many Catalogs for Customer Distribution. 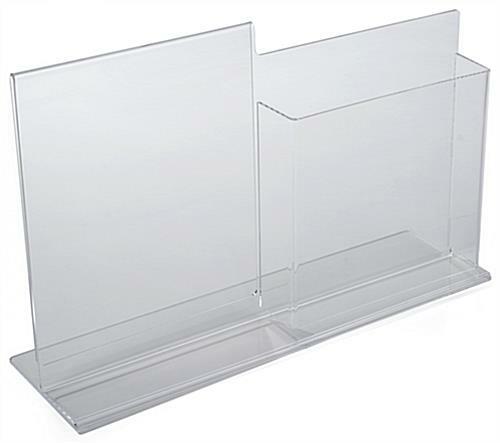 Transparent Acrylic is Perfect for Any Setting. 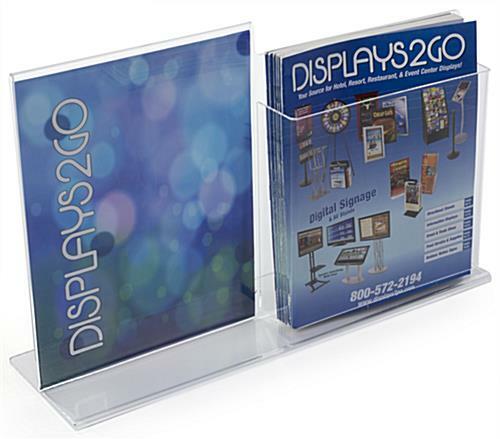 The magazine holder for desks has the frame and catalog pocket placed next to each other instead of one obscuring the other. 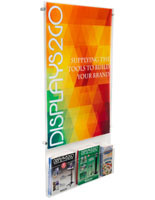 They acrylic sign my take up a bit more room, but full views of leaflets and publications are the result. 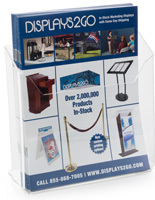 The holder for countertops display information prominently so customers will easily see them and take one. 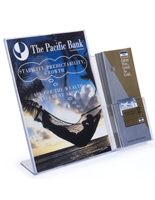 The sign frame measures 8.5” x 11” and the accompanying pocket fits catalogs that are 8.5” wide. 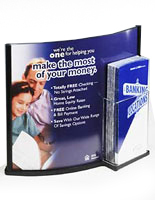 The holder has a bottom load design that allows it to be easily refreshed with up to date leaflets. 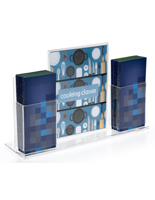 The acrylic sign is durable and completely reusable on countertops when needed.